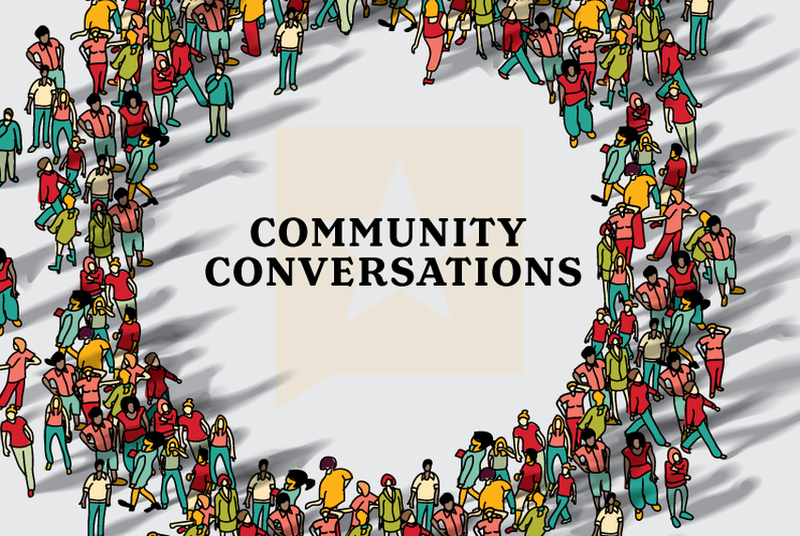 Our Community Conversations series seeks to catalyze a constructive dialogue on various issues facing communities across Texas. Learn more. Every year, we produce more than 60 free events that bring elected officials, community leaders and members of the public together on important policy discussions. Today, we're proud to build on this tradition with new Community Conversation toolkits aimed at broadening these conversations in your communities. This involves helping Texans create spaces where community leaders, neighbors, businesspeople and others can connect with one another, share stories and discuss possible solutions. Our first Community Conversation toolkit will focus on affordable housing. We've created a downloadable discussion guide to help you lead conversations and spark dialogue within your community and an interactive story that explains how two key factors that affect housing affordability — household income and the percent of that income spent on housing — play out across the state. You can enter your own ZIP code and see how affordability in your neighborhood compares to other Texas communities. We’ll be building more of these kits in the coming months to coincide with Texas Tribune enterprise projects and events. We hope these toolkits will serve as a step-by-step guide to sparking meaningful conversation on issues faced by you and your community. Through Community Conversations, we hope to encourage the kind of dialogue that brings diverse perspectives to the table, forges more engaged and informed communities and connects Texans more deeply with our journalism. The Texas Tribune is an independent, nonpartisan media organization. While we support civic engagement, we do not endorse any candidates, advocacy groups or positions on any issue, nor will we endorse any advocacy that results from your event. We encourage you to use this toolkit as a framework for your community conversation, but please note that any event that you convene is not an official Texas Tribune event. Be sure to tell us about your event by emailing us at communityconversations@texastribune.org. Thanks in advance for your interest in hosting your own community conversation. We look forward to sharing your event with Texas Tribune readers — all we ask is that you report back to us on the outcome of your discussions. We may use your community’s feedback in our continued reporting and community engagement efforts.